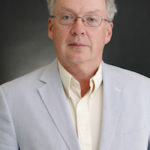 THOMAS FERGUSON, POLITICAL SCIENTIST, AUTHOR: I’d like to just make a few comments about voting turnout and money. I think this topic is hugely underresearched. For a long time, it–particularly in political science, but also just–which means also generally in American journalism, it was tough to get people to pay attention to the importance of voting turnout. I mean, typically, people took it as sort of natural fact, as though, like, the clouds or something, the weather, it was the weather that day, and you couldn’t do anything about it. Dean was the person who sort of established the importance of rules and procedures, that some of the things he was talking about, he was the person who showed, who actually–he had to first go find the statistics and then show that, you know, there were huge disjunctions in American voting behavior, that, for example, yeah, we have the highest voting turnout in the world in the 19th century, in the 20th we had among the lowest, and in the 21st we’re still down there very low. And a point I know which he did not mention but which I know he knows ’cause he’s the one who told me, you typically see substantial drops between presidential-year turnouts and off-year elections. This year’s drop, the drop from 2008 to 2010, is the second-largest in modern US history. That is to say, the fallout in turnout was enormous, much larger than usual, which is a really interesting, I think, and significant fact. We can maybe pick up on that in the questions and answers. Once you realize that turnout is a variable–and Dean established, I think, the main ways you do this in the older system. That is to say, the stuff that predominated in the 20th century, things like registration requirements, are enormously important in controlling turnout. I recall when I tried to–when I came back into Boston and I had to go re-register to vote, I went down there, signed up at City Hall. And then they said, "Do you happen to have a piece of mail on you?" And I said, "Huh?" And they said, "Oh, no, you’ve got to show us a piece of mail to prove your address." I said, "Why can’t I use my driver’s license?" "I want mail." And then I said–I had just had lunch with a Boston Herald reporter. I said, "I’m going to call The Herald." And then they said, okay, well, they’ll take my preliminary registration. But what that meant was they would then mail me back a postcard, and then I would have to fill out that postcard and then mail that back to them. That’s how you get on the rolls in Boston. That’s why Boston turnout, when you do any election except president and Congress, if you go to the local elections–and those were long ago moved off the November dates to make sure that there’s–like, no distracting forces could intervene that get somebody to vote, you will often see 15 percent or less of the population voting. That’s it. I mean, a way I like to put this is that, you know, the American voting turnout is an achievement of many generations. And Dean’s the guy who sort of unlocked that secret. He made–he’s the guy who sort of took us past the Pillars of Hercules there. Now, in the–this question is turning over now in some really very interesting ways. Back in–you know, I was teaching at the University of Texas back in the ’90s. This student did a really interesting paper. And what he discovered was that if you had some–a certain political consultant do your Senate campaign, if you’re a Republican Senate–turnout on average would drop 2 percent. And that may not sound like much, but if you can push–like, you know, in one campaign, in a Senate campaign, that’s like a glacier moving 100 yards, and it probably signals something else. Now, that consultant just happens to be one Roger Ailes, who now runs, I think, Fox News. The people have known for a long time that you can do things to push down turnout beyond the obvious, like make it tough for them to vote by, like, separating the election days from the presidential elections where you’re going to get much higher turnout. But we still don’t know too much about that. It’s clear beyond the personal registration statutes. And the poll taxes are now abolished by a constitutional amendment. And if you look around America right now, you will see that, like, there’s two places it seems to me where there are really interesting stuff. There’s a nice book on this by Spencer Overton, which Dean cites. And the–one is felon voting. I mean, I have to tell you, when you start to look at the felon voting story–I mean, my first thought was, this can’t be that big a deal. Now, it’s really a very interesting deal, because over time–so the cumulative impact of felon voting laws, where the felons can’t vote and when you come out of prison you still don’t get your rights back in a fair number of cases, is–in particular in the black community what it means is just a huge chunk of those folks get disenfranchised in a cumulative way over time. It’s not a minor matter. And you can–the very states that you’d suspect might have–where overt segregation once was practiced and where it’s now not, they’re often the most aggressive on the felon voting laws. I mean, that seems pretty clearly, frankly, a Republican tactic designed to push down voter turnout. The second case everybody knows, and Dean mentions it: the rules, the increasing number of states demanding picture IDs or something like that to vote. You all know what the problem with that is. Huge numbers of people don’t carry pictures of themselves around, unless you have a driver’s license. Lots of people don’t have driver’s licenses. Who needs to carry their passport to vote? But that’s where you’re moving toward, a lot of nonsense like that. And this, again, when you start to look through where is this in America and how big it is, it’s getting very large. This is not a small cloud that shadows American voting. It’s becoming a fairly large cloud, and it needs a lot more attention. And so, frankly, to me, one of the disappointing things about the Obama administration was I figured they’d do something about this. As far as I can tell, the Justice Department hasn’t done anything about this stuff. They did finally tell states they had to enforce motor vehicle registration places and things like–they actually had to observe those, but that’s pretty much it. And there’ve been no effort to bring any kind of order into the process of counting ballots. And you–as Dean says, you know, America’s a local crazyquilt, and a lot of the quilt is truly crazy, where you can’t predict even from year to year how many voting machines you’re going to have, how many ballots you’re going to have, and how they’re going to be counted. This is a really serious problem. And the reason we’re so interested in this is, you know, in the end, although you have pictures of–and this last election was an enormous running tide against the Democrats. Now, you know, all the stuff I’m talking about probably wouldn’t move very much in that. But the average American election’s typically much closer. And if you live in a world where, say–I mean, I think it’s not unfair to sort of look at, okay, if you’re a campaign strategist and you’re a Republican, what’s your strategy? I think it boils down to this. You try to take a big chunk of the upper-income vote. Then you’ve got to find a way to split the middle- and lower-class, poor-people voting just a touch. Now, in fact, it’s normal in American politics and journalism to greatly exaggerate how successful they are at that. I think Andrew Gelman and Larry Bartels’ work has shown you that at just about every point in time the folks who are most likely to vote Democratic are the poor Americans. Lynne Paramor, Dr. Paramor, had a very nice piece on this just after the election that was true in this election. If you were–if somebody was going to vote Democratic, you know, the percentage possibility of doing that went down straight with income there [sic]. Well, where–and so the question of, like, messing around with turnout, where elections are–you’re dealing with relatively low turnout situations, where votes are split in a bunch of places, this stuff matters. And you can move anywhere from 2 to 5 percent of the vote with a little hard work and turnout counting and other problems like that. I mean, this I think really is–if it’s not quite a cancer on the body politic, it’s a lot more than a pinprick. It’s a real problem. And it could–given the patterns of American voter turnout, if you suspect, like I do, that what Dean found about this last election, that is to say, this enormous drop in turnout, you might again be looking at a sort of secular change in turnout. 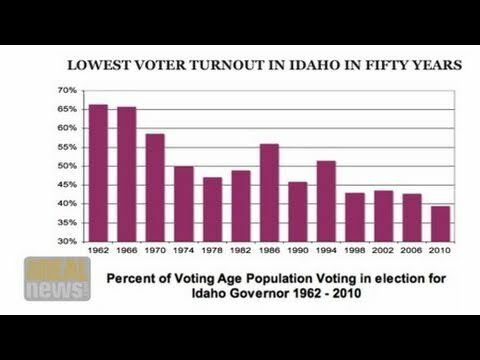 If you look at what happened as the ’60s broke up, the ’73-74 recession, and the ’74 elections, there’s a big drop in turnout and it stayed down. That was one of the ways that sort of a Republican surge manifested itself in the next 20 years. It made it easy. You could conceivably see some similar tidal shifts happening to us right now as we sort of sit here at the Roosevelt Institute. Thank you.